The illegals are changing their tactics, no longer evading the Border Patrol. Update to this story. 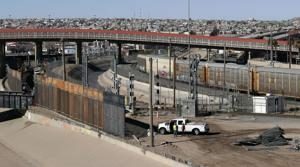 ANTELOPE WELLS, N.M. (AP) — Another large group of migrants are in custody after showing up at a remote border crossing in southwestern New Mexico.